The United States, in agreement with the International Civil Aviation Organization (ICAO) , operates two Volcanic Ash Advisory Centers (VAACs) as part of the National Oceanic and Atmospheric Administration (NOAA). 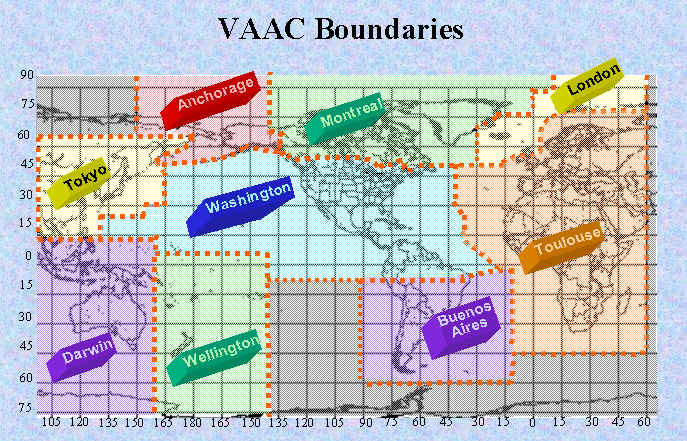 One VAAC is part of the Alaska Aviation Weather Unit in Anchorage, Alaska (Anchorage VAAC) and works closely with the Alaska Volcano Observatory (AVO). The second VAAC is part of both the National Environmental Satellite, Data, and Information Service (NESDIS) and the National Weather Service (NWS). The Satellite Analysis Branch (SAB) of NESDIS and the National Centers for Environmental Prediction (NCEP) of the NWS share duties as the regional Washington Volcanic Ash Advisory Center (VAAC) located in Camp Springs, Maryland. As part of the Washington VAAC, the Satellite Analysis Branch monitors volcanic activity through satellite remote sensing and is responsible for the initial notification of a volcanic event. This notification is done by phone to the weather service office responsible for issuing official watches and warnings. A text-based Volcanic Ash Advisory (VAA) is also issued and distributed through several global networks, and is placed on the internet. Imagery from polar orbiting and geostationary satellites allows SAB to detect the boundaries of a volcanic ash cloud and to estimate the altitude and movement of the ash plume. This information is included in the VAA (Sample) and when possible includes a graphical depiction of ash clouds (Sample). Forecasting where this ash will go is the responsibility of the National Center for Environmental Prediction (NCEP) side of the Washington VAAC. Currently this ash cloud forecast is done graphically through the issuance of a Volcanic Ash Forecast Transport And Dispersion (VAFTAD) (Sample) through several global networks. A copy of the VAFTAD is also placed on our website. Knowing where the volcanic ash plume is, and where it is likely to go are important because Volcanic eruptions produce clouds of ash that present a hazard to aviation. Accidentally flying through an ash cloud is sufficient to severely damage an aircraft by damaging lift surfaces, wind screens, and clogging engines. This damage endangers passengers and crew through the potential loss of lift, engine power, visibility and degrading communications. 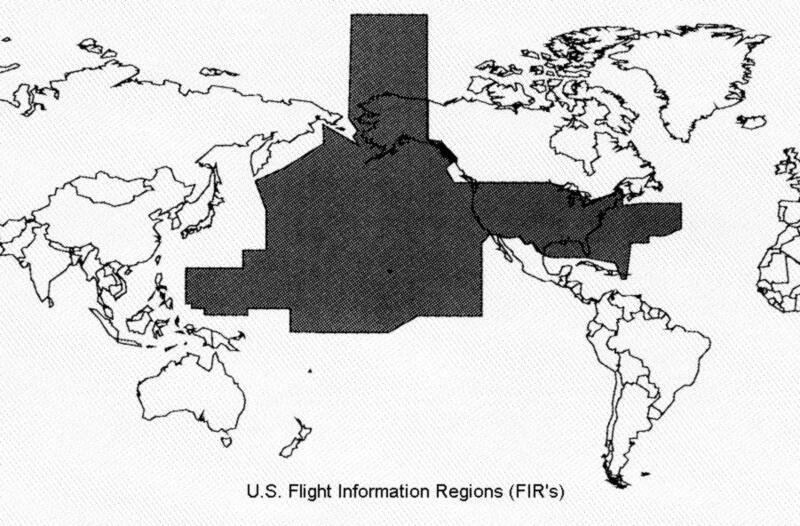 The Washington VAAC area of responsibility (map) includes the continental United States and southward through Central America, the Caribbean to 10 degrees South in South America, and the United States controlled oceanic Flight Information Regions (FIR). 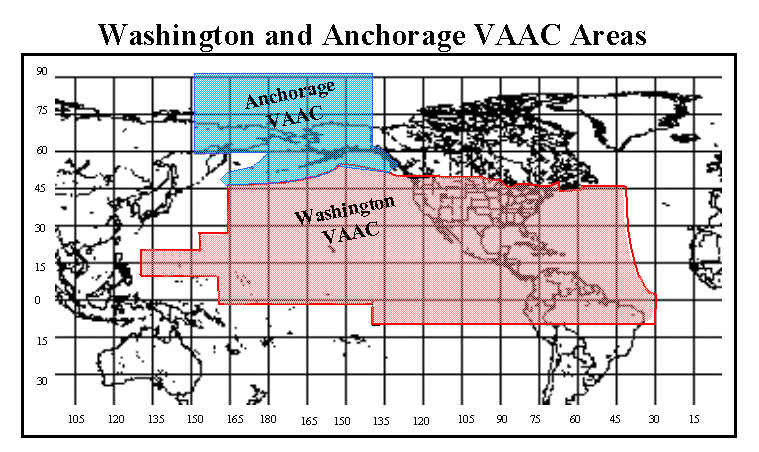 The Anchorage, Alaska, VAAC is responsible for the Alaska and Anchorage FIRs. Similarly, all other areas around the world are covered by other VAACs, located in Buenos Aires, Argentina; Darwin, Australia ;. London, United Kingdom ; Montreal, Canada ;. Tokyo, Japan ; Toulouse, France ;. and Wellington, New Zealand (map). It is important to note that VAAs are advisory in nature, and are meant to complement and support, but not replace, meteorological and aviation-related warnings and forecasts, which include Significant Meteorological [Hazard] Advisory (SIGMETs), VAFTADs and Notice to Airmen (NOTAMs). Meteorological Watch Offices are responsible for issuing SIGMETs. Area Control Centers or Flight Information Centers are responsible for issuing NOTAMs and VAAC (advisory) information directly to aviation interests.